Look no further, this is as good as it gets when it comes to Birthday Parties. All of our packages place an emphasis on active fun. We keep the kids playing and occupied, so you don’t have to. We have so many structured activities, you’ll be spoiled for choice. Our parties are tailored so kids of all ages can enjoy the fun. And with a full service bar and restaurant at R39 Grill, there's no shortage of fun for the adults too! 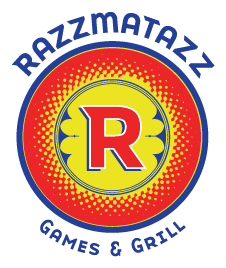 To book a party or get your questions answered about parties please email us at parties@razzmatazzchicago.com. Thank you for your party details! Someone from our staff will contact you within 24 hours to establish the next steps. We offer corporate event packages, as well as all manner of customized special events. Call us today to speak to an Event Coordinator, or click below to view our package offerings. Contact us to plan a customized party package today!